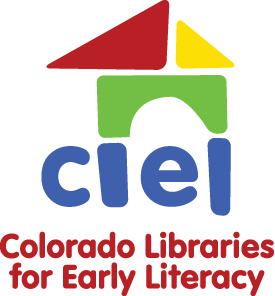 I’m involved with a group called Colorado Libraries for Early Literacy, an amazing group committed to promoting early literacy skills learning in libraries through storytimes and parent trainings. One of the projects we embarked upon last year was creating a website with videos showing rhymes and songs parents could use with children, along with an early literacy tip for each. We got a grant, went to work with Rocky Mountain PBS, and the result is StoryBlocks.org. We’re SO proud of it! Please take a look, and, most importantly, PLEASE FILL OUT THE FEEDBACK FORM (there are links at the bottom of each video). We need LOTS of feedback from parents, teachers, librarians, and care providers. We hope to fund MORE VIDEOS in the future, and getting lots of feedback will help us do so. Please share and enjoy! Thanks!